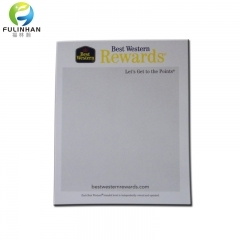 Professional Hotel Printing Solutions Suppliers,Note Pads For Sale-Fulinhan Packaging Co. Ltd.
A simple, affordable way to provide another service for your guests. Note Pads are also a great way to have your logo in front of your guest well after their stay. Notepads serve as versatile marketing tools.